Measure the number of people who would take a selfie from a safe dedicated selfie zone as opposed to taking a selfie from the middle of a busy bike path. 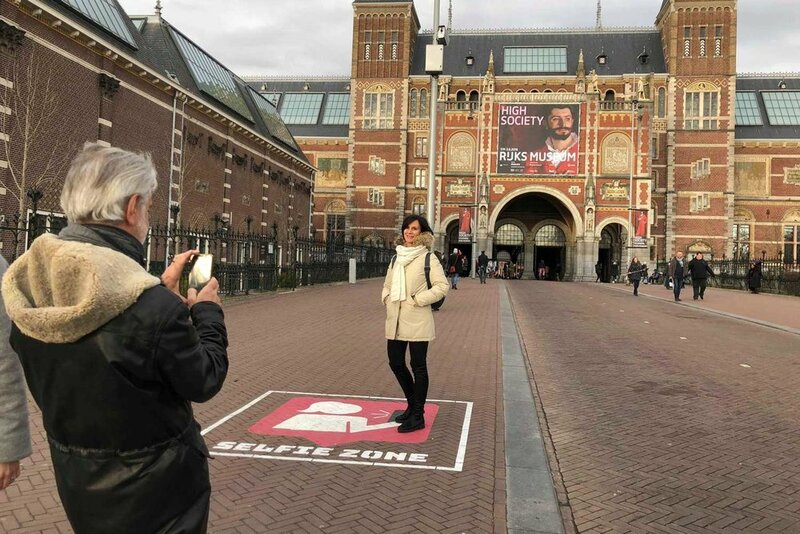 Reduce the number of accidents caused by tourists standing in the middle of a busy bike path to take selfies with the Rijksmuseum in the background. 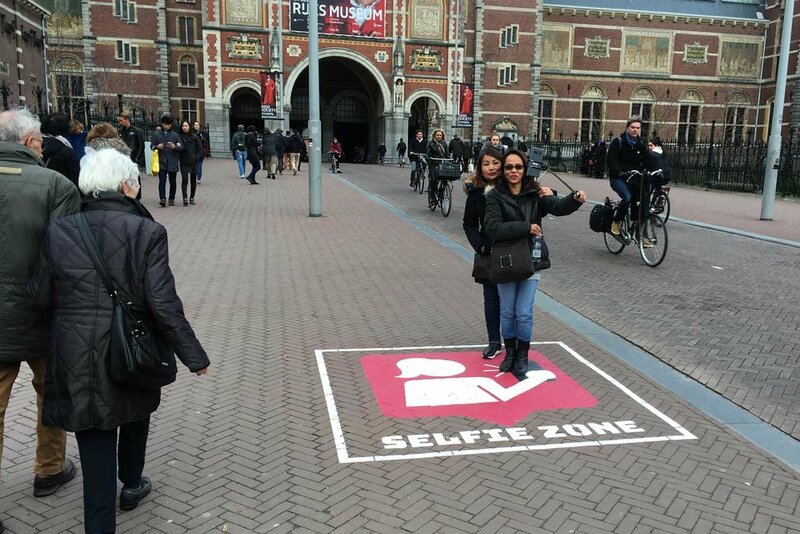 Produce a temporary "selfie zone" print on the sidewalk next to the busy bike path. Create a large visual image in line with Amsterdam's "house style" that was fun and inviting. Using eco-friendly milk paint, we create a 4 m2 three color print on a brick surface. Selfies taken from the middle of the bike path decreased by 28%. 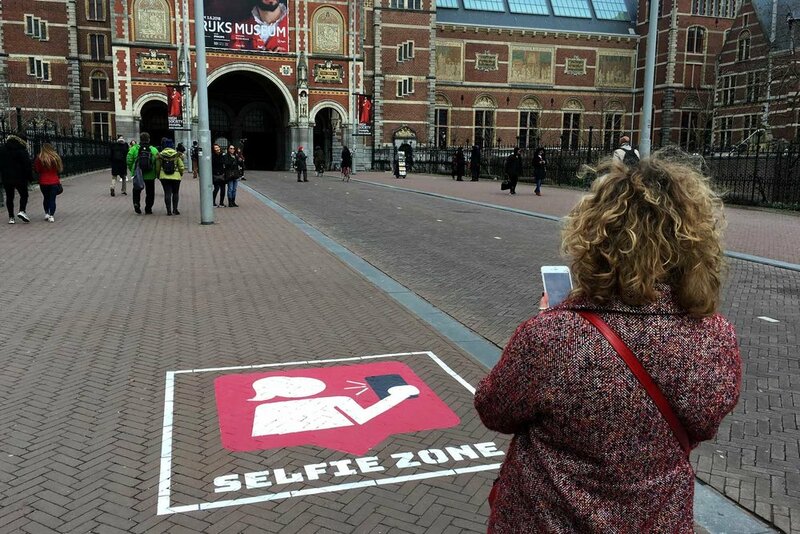 Total number of selfies taken with the Rijksmuseum in the background increased by 20%. 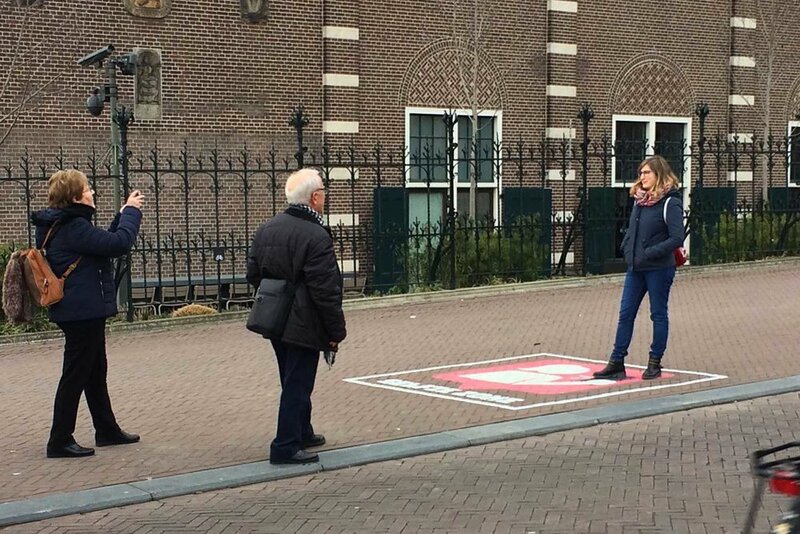 Thousands of personal photos taken in Amsterdam by tourists were shared on social media channels. 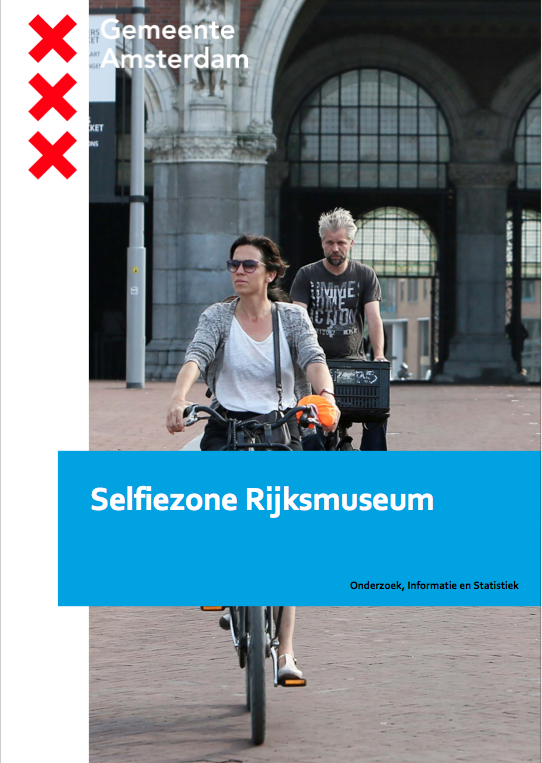 Download the full report here (Dutch language).